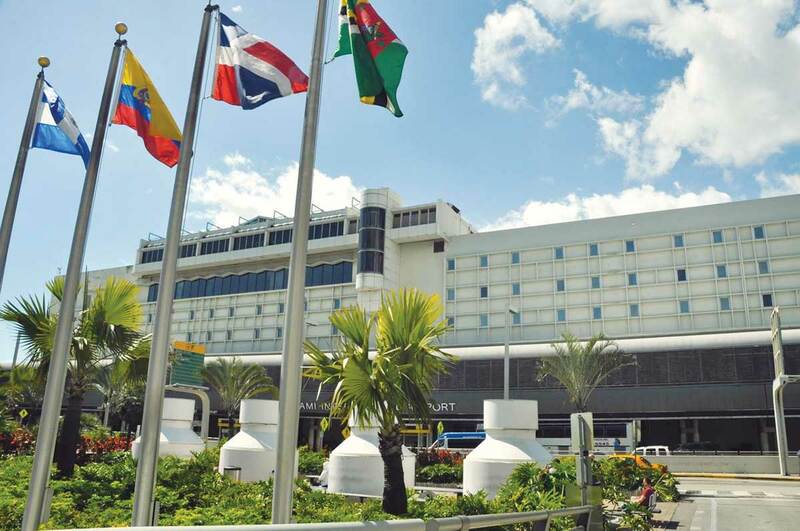 Miami International Airport’s strong position in both domestic and international service and its recent financial stability have earned its $792.3 million in aviation revenue refunding bonds an ‘A’ rating and stable outlook from Fitch Ratings. Refunding of the bonds, issued for the airport’s now-complete $6.5 billion makeover of it north and south terminals, is expected to yield a net savings to the airport of about $56.3 million, according to a report when county commissioners approved the refunding in July. Fitch this month estimated the present-value saving to the county at $65 million. The next phase of airport work, a $1.45 billion terminal optimization program that is to run through 2025, “will be smaller in scale and additional borrowings are expected to be about 60% of the program budget,” Fitch reported when issuing the rating. That rating also affirmed the county’s $5.1 billion of parity aviation revenue bonds at ‘A’. The airport’s debt equaling about $262 per enplaned passenger reflects in a structure that sees the cost per enplanement of just under $20 per passenger for last year, a figure that is expected to remain stable, though the Fitch report recalls that at the time of the massive airport makeover, enplanement cost was predicted to fly well above $30 per passenger, causing fears that competitive airports would lure MIA’s passengers. While enplanement cost never soared sky-high, Fitch does point out that Fort Lauderdale-Hollywood International Airport to the immediate north has a far lower enplanement cost – government sources show $4.89 there last year and $7.52 this year, versus MIA’s $19.61 last year and $19.52 this year – and is the midst of its own substantial makeover, increasing competitive pressures. The July county resolution approving the bond refunding passed without discussion. The bond series issued include Series 2018A alternative minimum tax (AMT) bonds, Series 2018 B non-AMT bonds and Series 2018C taxable bonds – Series 2018 collectively – to refund outstanding revenue and revenue refunding bonds from 2003, 2008, 2009 and 2010. The Series 2018 bonds were to refund and redeem portions of outstanding bonds of about $5.272 billion. Market conditions in June projected a debt service savings of about $89.8 million over the life of the Series 2018 bonds, which mature in October 2041, according to Deputy Mayor Edward Marquez. Hilltop Securities Inc., the financial advisor to the county’s aviation department, recommended that the county negotiate sale of the Series 2018 bonds, county attorney Abigail Price-Williams wrote, given the bonds’ structure and market flexibility, the financial volatility of the airline industry and the aviation department’s ability to generate revenues to operate while servicing its outstanding debt. JP Morgan Securities LLC was chosen as senior underwriter and representative to sell the bonds. The county has issued about $5.9 billion in capital investment bonds for improvements at Miami International Airport since 1993, with a remaining $300 million available for issuance. Fitch noted that Miami International’s $339 million fund balance in the past fiscal year – which translated to 287 days of cash on hand – had been “largely stable but somewhat constrained given the residual airline agreements,” which were replaced this month by a 15-year successor agreement.